The Skating Club of San Francisco, Inc. sadly says goodbye to its Belmont rink. We can all be proud of the accomplishments and achievements the Club and its skaters and coaches fulfilled during our time at Belmont Iceland. 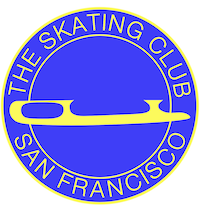 During this transitional year, The Skating Club of San Francisco heartily welcomes and encourages all of their coaches to bring their SCSF skaters to the beautiful Yerba Buena Ice Skating and Bowling Center, for Saturday morning Club Ice sessions. For non-Yerba Buena staff coaches, there will be no rink fees for teaching Club members on Saturday Club ice sessions. However, due to requirements from the City and County of San Francisco, you will be required to obtain a San Francisco business license and provide an electronic copy to the Club, along with a copy of your insurance certificate naming Yerba Buena Ice Skating and Bowling Center and The Skating Club of San Francisco, Inc., as additionally insured. Also, if you haven’t completed Safe Sport training, you’ll need to complete the training (less than 2 hours) for certification. If you have any questions, please consult with your PSA Area 15 Representative, Don Corbiell, for more information.